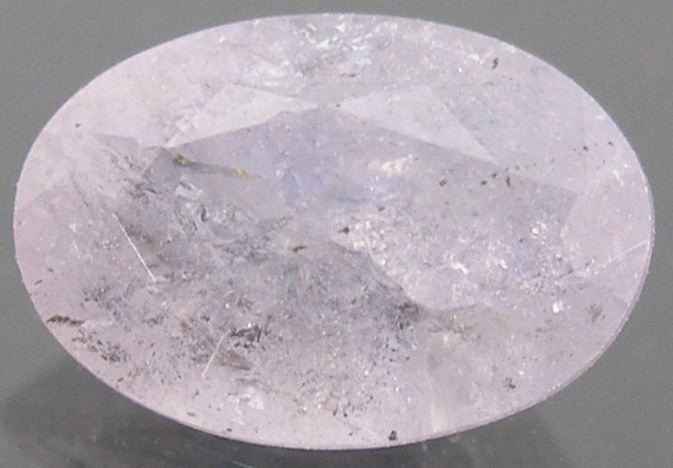 The magnesioaxinite in the image above was said by Woodmansee Gems to fluoresce orange under long wave UV, and also to display a slight color change from pale lavender to pale blue. Magnesioaxinite is uncommon as a faceted stone, and very rare in fully transparent quality. Woodmansee made a further interesting remark about this stone; that buyers should be aware that brown axinite with a blue flash or a blue streak is not magnesioaxinite. was cited as a reference. Gems & Gemology, Winter 2007 issue (Vol. 43 No. 4), page 374.